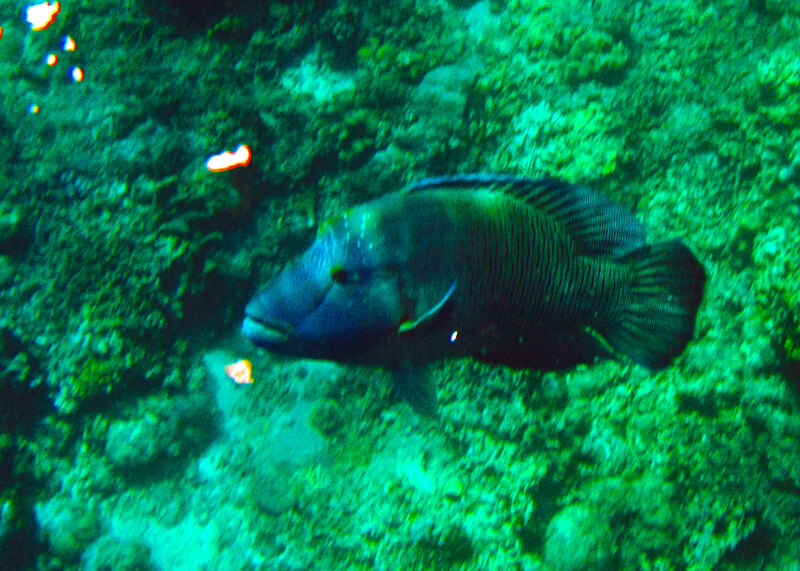 The Napoleon Wrasse may be huge but it is gentle. When one thinks of Apo, the usual thought is Mt. Apo in Davao or the island near Dumaguete in Negros Oriental. The latter is known as a popular dive site not only for locals but foreign divers as well. Not as well known is the largest series of coral reefs in Asia and the second largest in the world -- second only to the Great Barrier Reef in Australia. The Apo Reef National Park is located west of Occidental Mindoro and is part of Sablayan town. In getting to the reef itself, one rides a motorbanca. If you're lucky, the motorbanca you're riding on may be escorted by dolphins. They are hospitable creatures that may treat you to a few leaps, synchronized swim or some graceful dance. Sometimes, dolphins might seem snobbish; they may be preoccupied with chasing schools of fish. When you finally enter the park, you'll find that it is composed of three islands -- Apo Island, Cayos del Bajo and Binangaan. It is not just a playground for scuba divers and snorkelers, but also for nature lovers and birdwatchers. Apo Island has a lagoon that is bordered by a lush mangrove forest. This has become a breeding ground for numerous species of fish and other aquatic creatures. Birds also dine in this restaurant. That is why human visitors are discouraged from feeding wildlife because fishes, birds, insects and other animals have more exotic tastes than humans. Because humans are the visitors in this area, they are advised to behave and stay in designated areas. Humans are also asked to pay certain fees to cover their entry and the use of facilities in the area. Facilities include a raft in the lagoon and bamboo foot bridges. A hut is also designated as a dining area and a lighthouse is an added attraction. Tents can also be set up near the beach. In the worst case scenario, occupants may be spared from the destruction of a tsunami generating small waves of a couple of meters because of the presence of coral reefs. 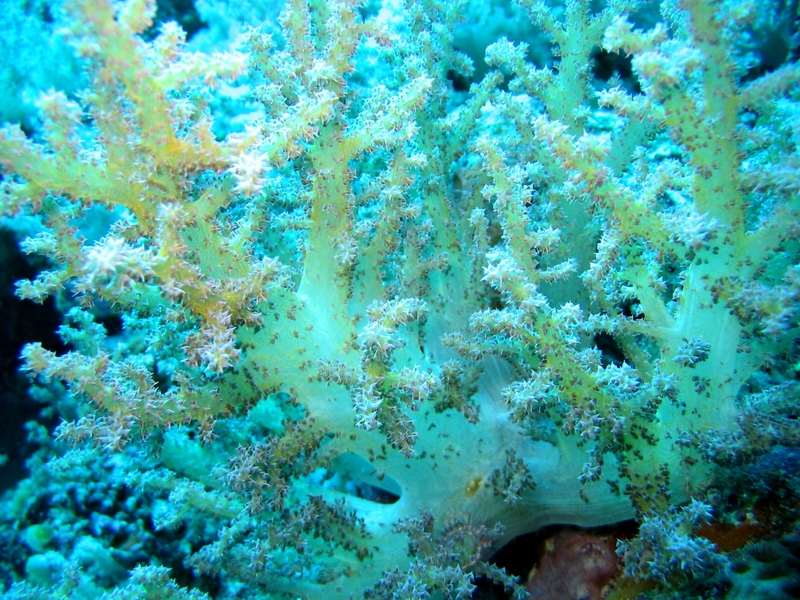 Coral reefs act as natural wave-breakers. 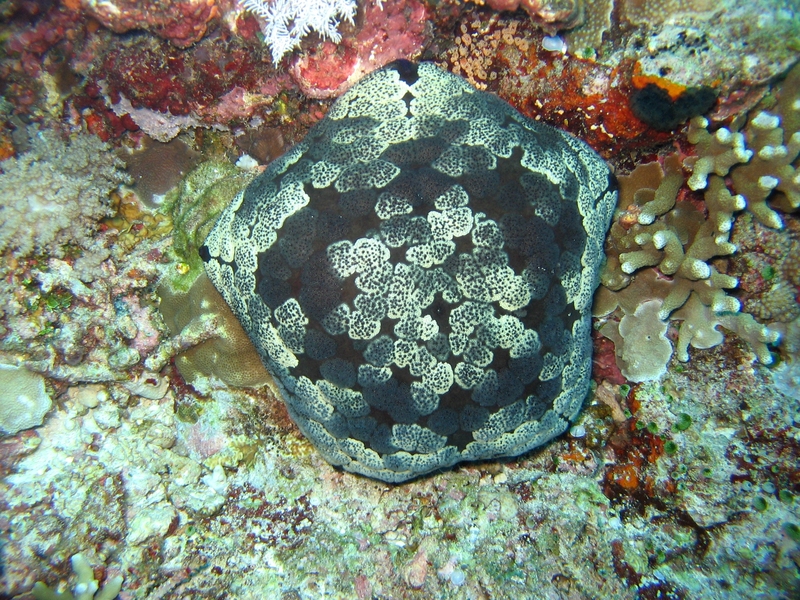 The Cushion Star may not look like a star at all but its underside will show that it is indeed a sea star. One of the residents of the second largest contiguous coral reef system in the world. 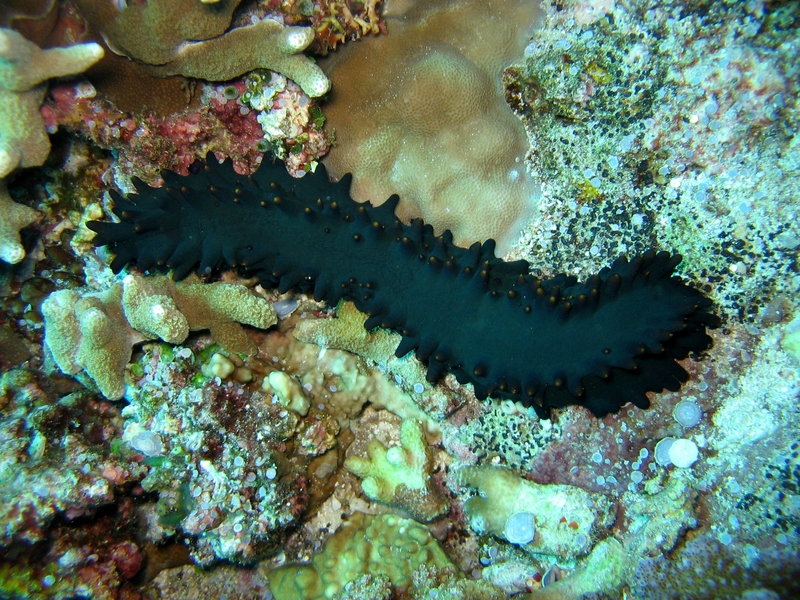 Sea cucumbers eat dead matter and excrement, thereby cleaning the oceans and making the waters clearer.